Staying warm is a high priority for any household, and there are several types of heaters to choose from. Two popular options are oil heaters and electric heaters. Both have their pros and cons, relating to such considerations as how quickly they work, how safe they are and even how much they weigh. Although the desired outcome is the same for both electric and oil heaters, the two function quite differently. An oil heater consists of hollow columns in which oil, after being heated, circulates to continue providing warmth. Depending on the model, the heating element used to warm the oil could be anything from an electric current to a small flame. Electric heaters, on the other hand, contain no liquid and rely solely on volts of electricity to heat the metal columns. Therefore, electric heaters tend to warm up much more quickly. Although any heater can cause injury, electric heaters carry the highest safety risks. First, electric heaters tend to be much hotter to the touch than oil heaters and have been known to ignite combustible materials that have been placed too close to them. Also, since such a high amount of voltage flows through electric heaters, there is serious potential for danger if the heaters come in contact with water or fall into a sink or bathtub. If properly maintained, neither electric nor oil heaters pose significant environmental problems. Since the oil within an oil heater circulates for years, it does not require constant replenishing. Oil is toxic, however, and eventually should be disposed of properly. Electric heaters leave no waste behind, but they do consume large amounts of electricity. Depending on the source of electricity (a coal plant generator, for instance), there technically could be an environmental impact. 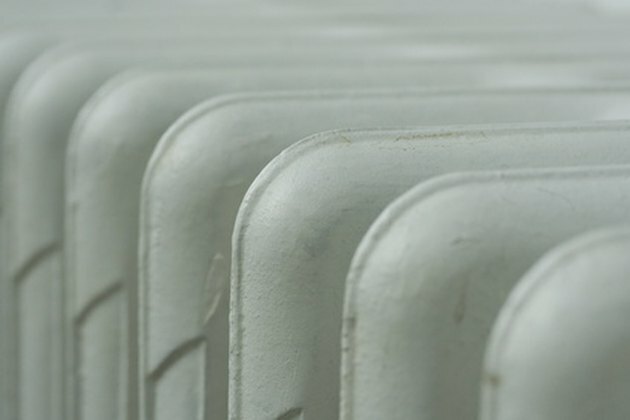 Depending on the power of the model, electric heaters and oil heaters do vary significantly in price, but there are differences in how much each costs to run. Again, although oil heaters take longer to initially heat up, they are able to stay warm on their own for some time. Electric heaters, on the other hand, need a constant charge of voltage in order to produce heat, which can put a strain on electric bills. Oil heaters tend to weigh much more than electric heaters. This is because they are filled with liquid and because the materials used to construct oil heaters are designed for durability and to keep any oil from escaping. Electric heaters, which have nothing but electricity flowing through them, can be built to be much more lightweight. In general, electric heaters are much noisier than oil heaters. This is because electric heaters are constantly churning out volts of electricity in order to keep the device hot. Oil heaters contain a fluid that, once initially heated up, stays warm for a fairly long time. Therefore, oil heaters do not have to work as hard as electric heaters to continue running. Chandler Jarrell has been writing professionally since 2007. Having worked for Major League Baseball and traveled the world as a musician, Jarrell specializes in travel, sports, music and food writing. Jarrell has a Bachelor of Arts degree in audio and literature from Emerson College.